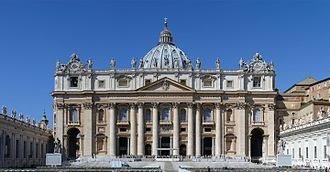 In the fourth century, the Emperor Constantine the Great had two Basilicas built in Rome; the Basilica of St Peter and the Basilica of St Paul. The Basilica sites were believed to have been the actual burial tombs of St Peter and St Paul and during the previous centuries, pilgrims had made them places of prayer and worship. Although the basilicas have been extensively refurbished and extended over the centuries, they remain unique places of pilgrimage and prayer for the Christian faithful. Today, Bishops are required to visit “the Tombs of the Apostles” every five years and report on the status of their Dioceses to the Vatican.